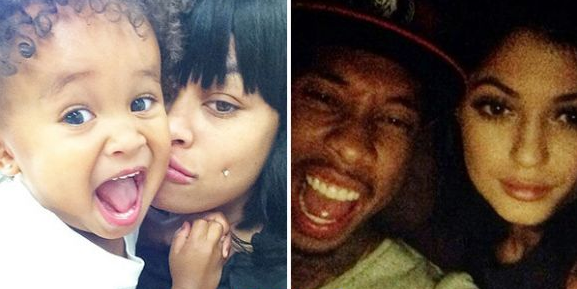 17-year-old Kylie Jenner is a ''second mother'' to Tyga's son King Cairo. The 17-year-old reality star has reportedly been dating Tyga for several months, and has taken on the role of a parent to the rapper's two-year-old son with former fiancée Blac Chyna. However, doubt has been expressed over the 'Keeping Up with the Kardashians' socialite's ability to look after the tot, because her own mother Kris Jenner was not a ''good role model'' when she was growing up. The couple - who were spotted at Disneyland in California with King earlier this week as they attended the birthday party of North West, Kylie's half-sister Kim Kardashian West's daughter - have reportedly angered the boy's mother though, who is unhappy about the pair's relationship.